Hehe. 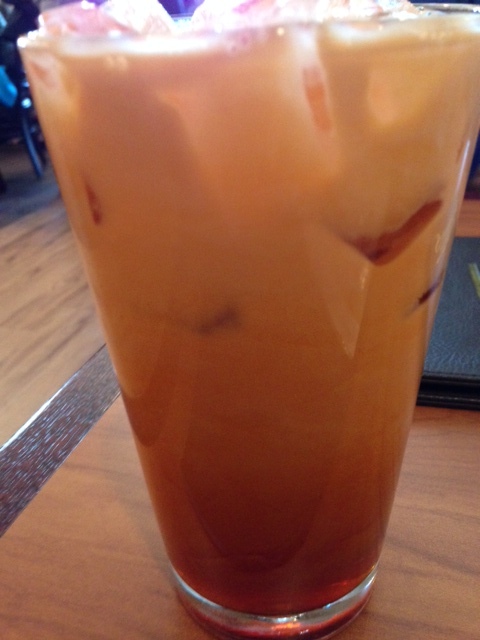 “Saigon Noodles Thai Tea” is the first problem. Some Asian restaurants attempt to provide fusion food, with not so good results. The thick an spicy peanut sauce doesn’t seem like an authentic dipping sauce for Vietnamese spring rolls (we call ‘egg rolls’ spring rolls in New Zealand), either deep fried or fresh. 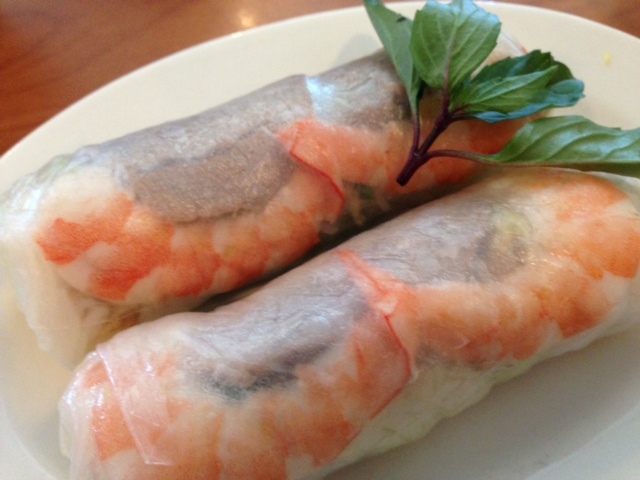 They should come with nuoc mam, or a variation of this. 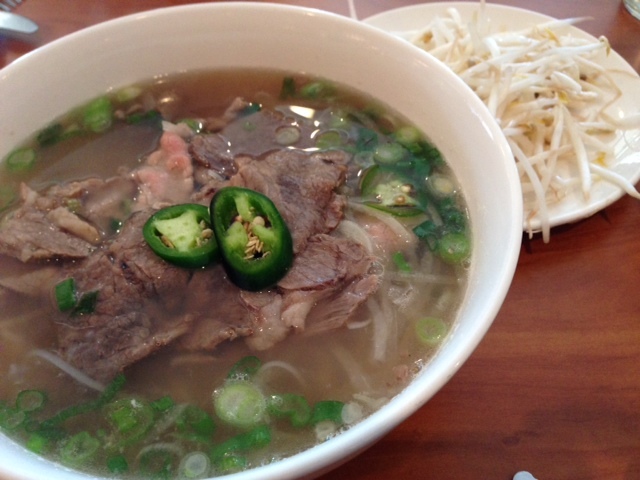 You were also missing a lot of salad greens and herbs with your pho. Shame! 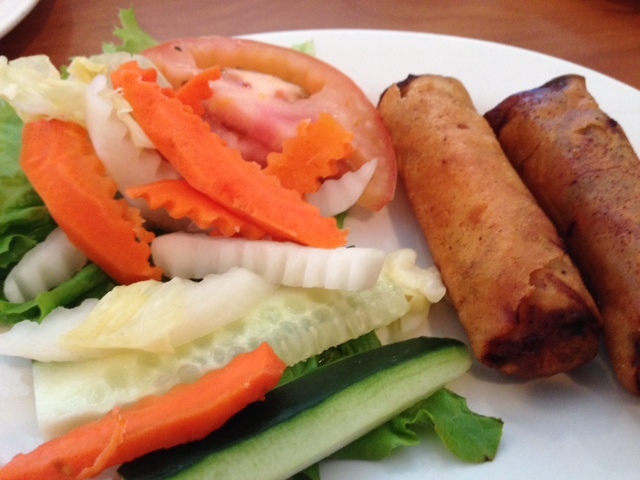 I hope you find authentic Vietnamese next time on your foodie adventures. Thanks for the comments! 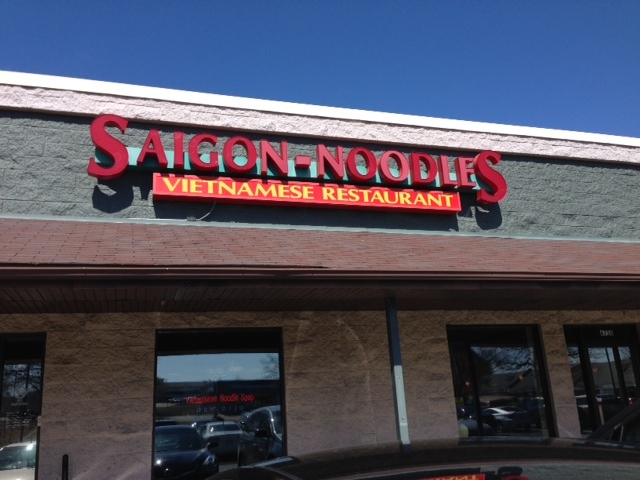 If you’re from the Madison area, do you have a suggestion for finding authentic Vietnamese?